We need to build a dust collection system for the woodworking area to minimize sawdust and particulate spreading to other areas of the space. Computers & other electronics are particularly vulnerable to excess dust. Here are 10 system design ideas to get you started! The plan is to build a wall to separate the woodshop space to contain the dust and reduce the noise transmitted to the general makerspace. The ceiling will be temporarily sealed with plastic to contain the dust. The woodshop side of the partitions will have pegboard for tools, etc. The front side could have shelving for books and materials. It should also have space to mount a large flat screen monitor for workshops and presentations. Here's a simple design to build on! The idea is to build a bunch of boxes and shelves that hang on 'french cleats' secured to the walls around the room perimeter. Makers who wish to rent a box to hold their project -in-progress will be able to grab their box and take it to an available worktable whenever they work on it. When you're done for the day, just hang it back up on the wall. The design will allow for locking covers to be added for security - including a method of locking the box to the wall cleats. French cleats are perfect for hanging heavy objects! The idea is to build easily-movable T-shaped wall units for reconfiguring the space to suit multiple uses and activities. 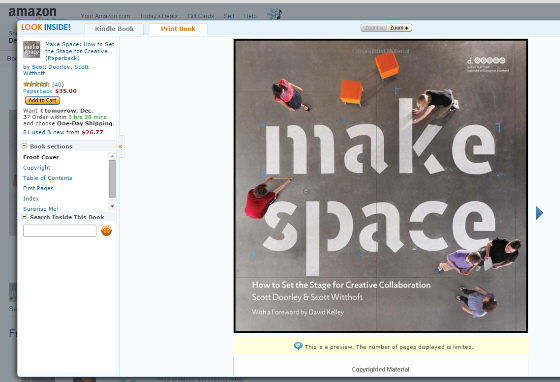 There is an existing design to work from in the 'Make Space' book in the Fredericton Makerspace library. Materials/Hardware: to be determined based on adaptation of the design.